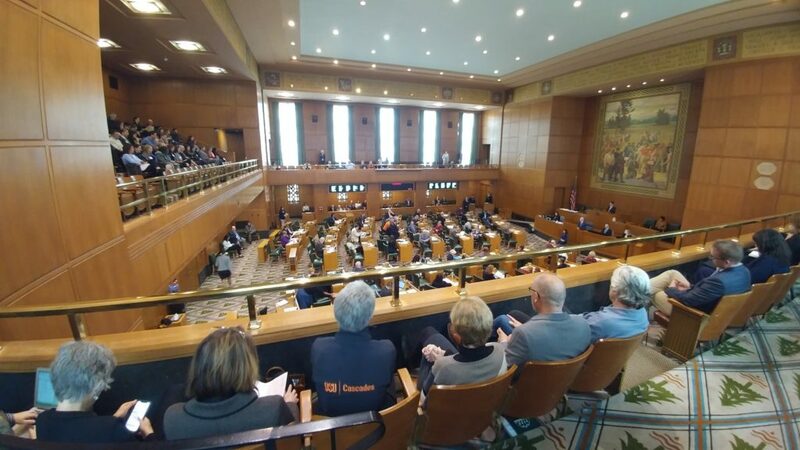 On April 10, 2019, we, the Bend Chamber and our members participated in Chamber Day at the Capitol in Salem with a full day planned of meetings with elected officials and state leaders. The purpose of the day was to showcase a variety of businesses and industries, express concern of cumulative impact from new revenue generation bills, and to advocate and discuss legislative opportunities for our region. 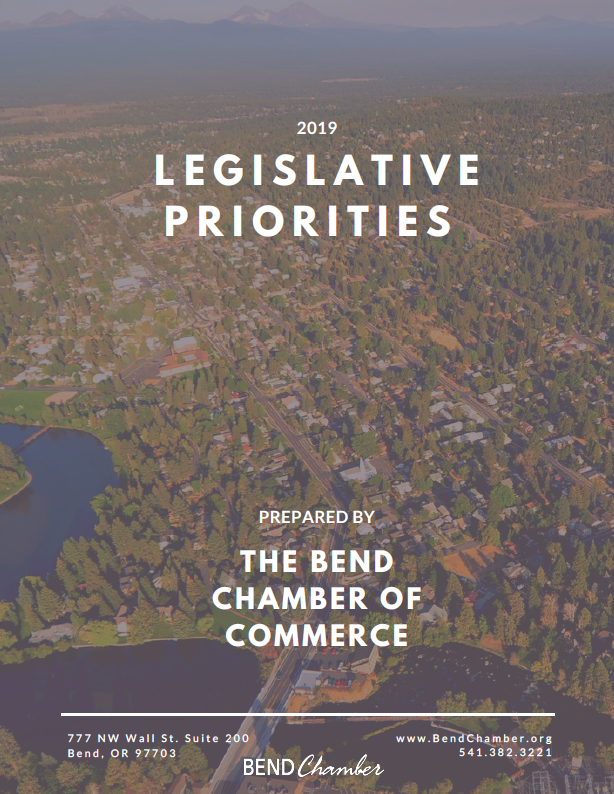 Click the image below to view our 2019 Legislative Priorities Packet we are presenting to the decision makers in Salem. This entry was written by Stephanie Shaver, posted on April 10, 2019 at 9:48 am, filed under Advocacy, Legislative.